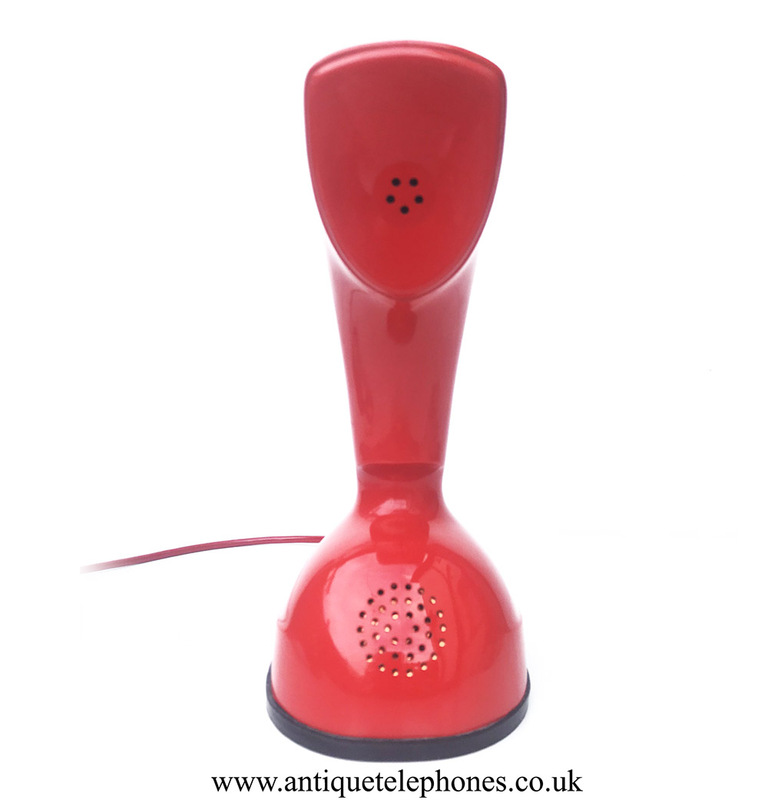 This is an iconic design from the 1950s. 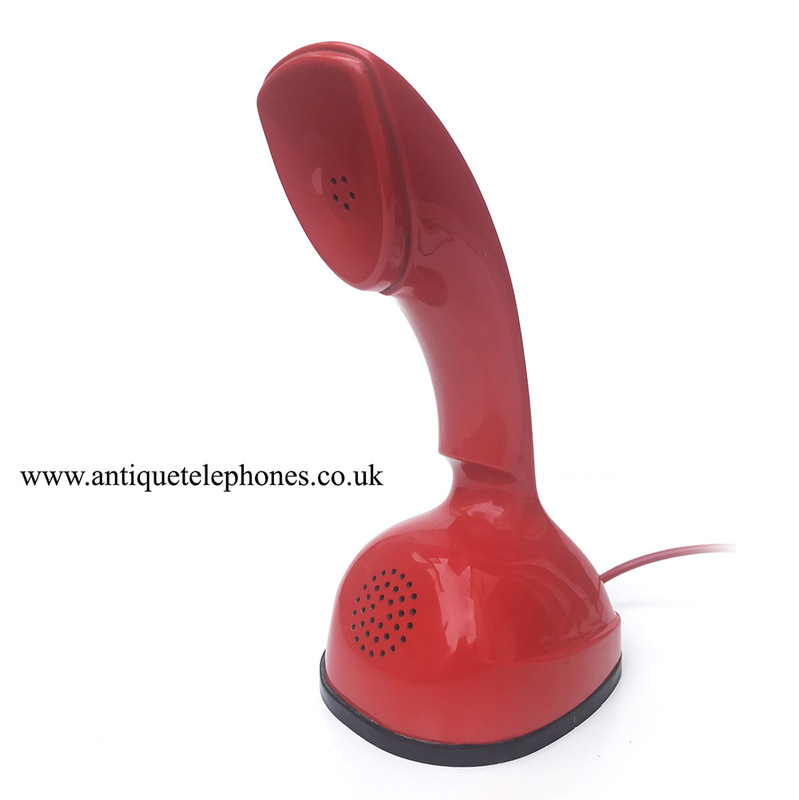 This model was designed in the 1950s and this one is dated 1972. It has been stripped down and rebuilt after each part has been cleaned and polished. 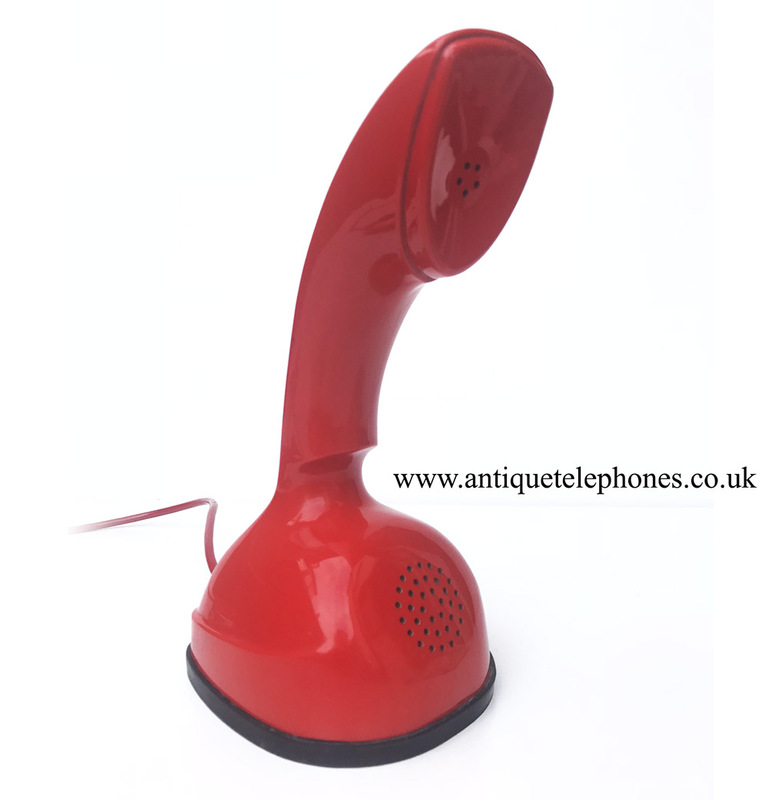 It is fully working and fitted with an electronic microphone and a new red quality plastic line in cord. 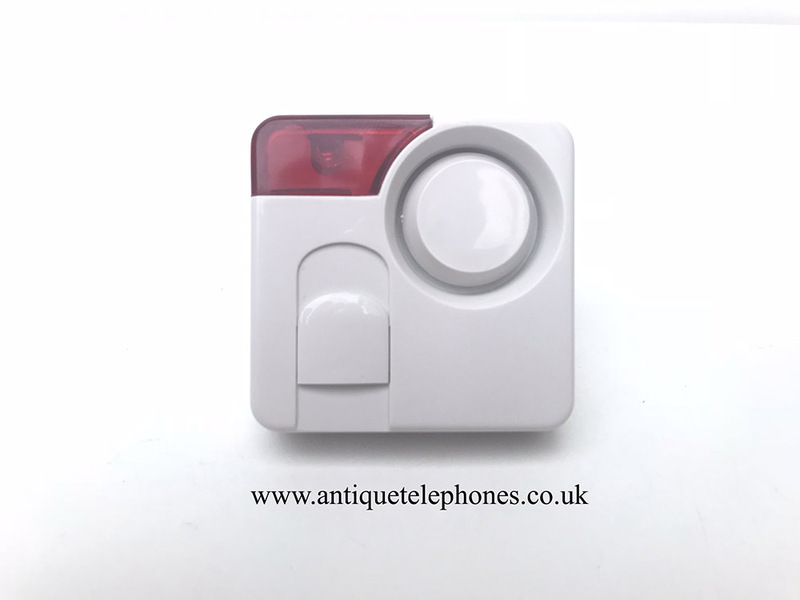 I have added a chirping ringer with a red flashing light to give the ring tone. 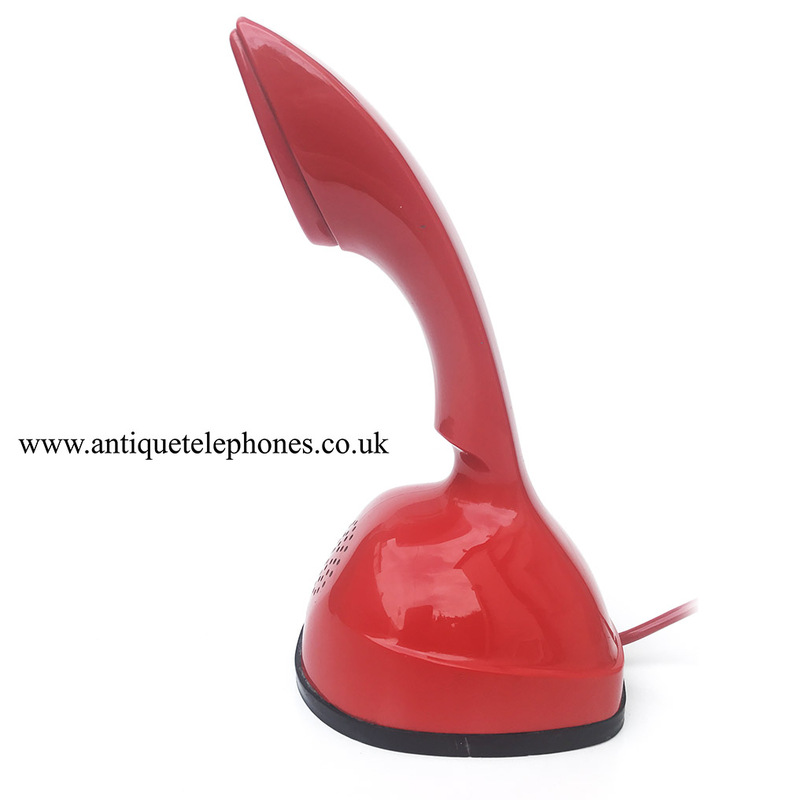 Simply plug the telephone into this from your wall socket. One of the face screws was overtightened in its lifetime and has a small crack in the clear plastic base as shown. Unseen when on display and very minor. 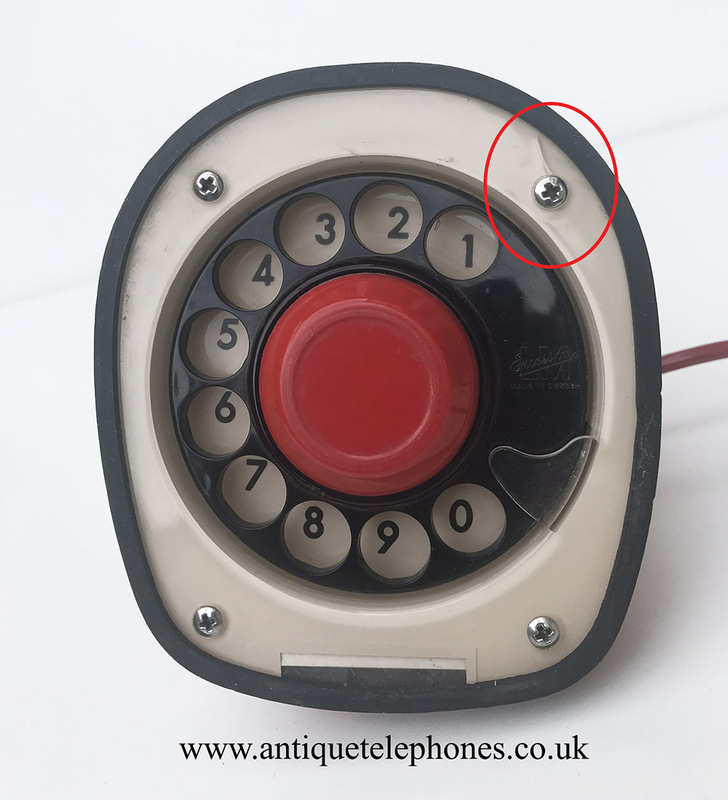 No dial label available so don't add one in checkout.